Bead 2 Bead PROTEK : Bead to bead reinforcement with an overall protection of the tire casing. X-Miles Compound: New mix of exclusive gums improving tire wear. Gravel Design: Sculpture with small studs providing a low rolling resistance and an excellent grip on mixed terrains. Tubeless Ready for a better impermeability, rolling efficiency and puncture resistance. I bought this tyre in 40 mm size which is my preferred size for the sort of gravel I ride on. I live on a gravel and regularly ride from here on a variet of surfaces. The Michelin has a nicely rounded profile and a very supple ride. It’s tread is made up of numerous small blocks which offer sufficient grip to cope with a range of gravel from small through to small rounds. On sealed roads it rolls well and offers a good compromise for different surfaces. The tyre is tubeless ready and a tight fit on the rim. It copes well with a range of pressures and I have run it between 35 and 60 psi. Overall I think this is a good tyre at a good price. 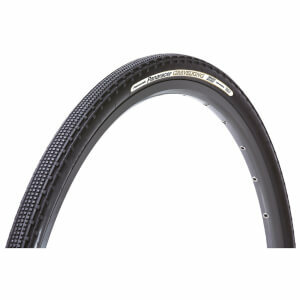 Nice width & rounded profile, very nice combo of gravel & snow grip vs low rolling resistance . Only wonder about quality of casing, can't get it to centre on the rim despite attempts at letting out all air & re-inflating, still has hops & wobbles (radial & axial run out). Not noteciable on gravel & snow, but a concern on smooth pavement at higher speed. Put a 700x35 on my gravel bike and these are sure nice tires. Easy to install tubeless. I was able to roll these onto my rims with my hands and then using my floor pump got them to seat. Riding on the road feels really good so far. No soft drag from these. Excellent traction on the trails and fire roads. I would say that the 700x35 runs a bit smaller. I have a 700x33 and plan to put that on the front. Not sure yet how these will hold up but with such a good price at the Probikekit, it would make sense to change them often. 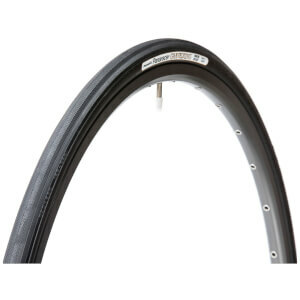 I bought this tire hopefull that I could use them tubeless on a tubed rim. I had struggled for years getting tires to seal on these wheels with tires that were tubeless ready. I could tell right away these were different and fit tight on the wheels. Tape was used on the wheels and boy do they hold pressure. They ride great. I have put 200 gravel miles on them in two weeks with zero issues. Surprisingly fast tires that are equally good on pavement or gravel. I am hoping that they are durable to withstand commuting on pavement without wearing down the knobbies at an accelerated rate. The comfort is a big upgrade from previous 32c tires. Very difficult to install on my CaadX stock wheels. Very tight fit.